Rene Gerrets (PhD), Assistant Professor Anthropology of Global Health at the University of Amsterdam (UvA), contributes to AIGHD’s efforts aimed at fostering cross-disciplinary collaborations and interventions. Building on a career in laboratory-based research in cell biology and parasitology, Gerrets studied anthropology at New York University and has since conducted various research projects focusing on malaria, governance and health systems, mostly in African settings. 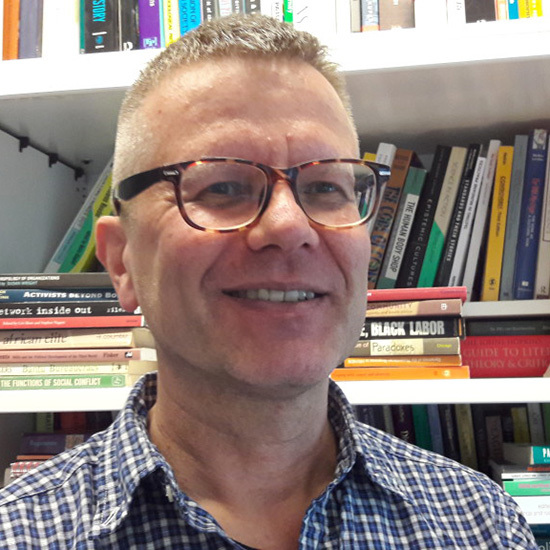 Gerrets helped develop the TransGlobal Health Erasmus Mundus PhD program, co-directs the Master Medical Anthropology and Sociology at UvA, and co-supervises PhD and Masters students pursuing interdisciplinary research at UvA, AMC, ITG-Antwerp, and Oxford University. View Rene’s publications (via UvA).